Priyanka Gandhi Joining in Congress will help Congress in Lok Sabha elections 2019? Priyanka Gandhi Vadra Born in 1972, is the daughter of former prime minister Rajiv Gandhi and UPA chairperson Sonia Gandhi. She is the sister of Congress president Rahul Gandhi. She went to school in Delhi. She studied Psychology in graduation. She completed her masters in Buddhist studies in 2010. She is the grand-daughter of former prime minister Indira Gandhi. She is often compared with her grand-mother and is popular in the Nehru-Gandhi bastion– Amethi and Raebareli. After the party’s dismal show in successive assembly election, workers were demanding a bigger role for Priyanka Gandhi Vadra in the Congress. Various party leaders and ministers also hailed the move saying it would benefit the party. A group of party workers celebrated the development by dancing and distributing sweets outside the state Congress office- Indira Bhawan. Asked whether it was a precursor for Priyanka Gandhi Vadra contesting the national election, due by May, Rahul Gandhi said today: “It is up to Priyanka if she wants to. My main point is we won’t play on the back foot – be it UP or Gujarat or anywhere. Uttar Pradesh Chief Minister Yogi Adityanath on Friday said Priyanka Gandhi Vadra’s entry into active politics would not have any impact on the outcome of the upcoming Lok Sabha polls as “zero plus zero results in zero”. Adityanath further said, Priyanka Gandhi’s appointment as the Congress general secretary for eastern UP an extension of the “political dynasty” culture in the party. Her region of responsibility would also include Gorakhpur, from where Adityanath has been a five-time member of parliament. Samajwadi Party chief and former Uttar Pradesh chief minister Akhilesh Yadav on Saturday hailed the Congress party’s decision to appoint Priyanka Gandhi Vadra as the general secretary of the eastern region of the state. 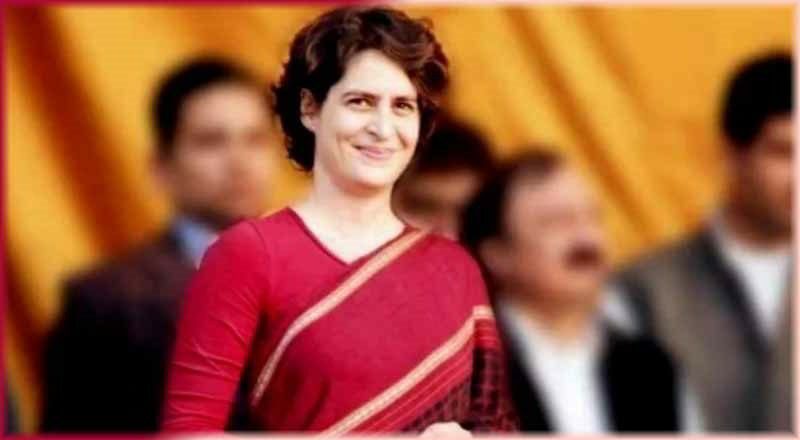 Priyanka Gandhi is the backup plan of Gandhi dynasty and within hours of Priyanka Gandhi’s appointment as Congress general secretary in charge of eastern UP, Congress workers in Varanasi made an appeal. “Kashi ki janta kare pukar, Priyanka ho saansad hamaar (People of Varanasi want Priyanka to be their MP)”, they chanted across the temple town. Reacting on the the big announcement, Rahul Gandhi said he had given her a challenge in Uttar Pradesh, a politically important state. “My sister, who is capable and hard-working, will work with me. I am personally very happy and excited. Jyotiraditya is also a very dynamic leader and will be in charge of western UP. With all the new faces, the 2019 Lok Sabha elections result will be of very interesting, in the last year General election, Congress secured 6% votes in UP 2017 assembly elections, SP got 22% and BSP got 22% votes BJP got 42% votes. Suppose Priyanka Gandhi is able to make significant impact in UP and increase the congress vote share to 12%,it’ll be of great asset to the party. Now the question is just 3 month ahead of elections? what is she going to do in three month ?